The Railway Recruitment Board has been located in different parts of India which is working under the guidance of the headquarters situated in New Delhi. Every year lakhs of aspirants apply for several posts that get filled with various steps. Now, RRB is getting ready to conduct the written test for NTPC nontechnical categories and all the graduates are eligible for the posts that are to be filled in Zonal Railways and produciton units of Indian Railways. The process starts from March 28th, and it will complete by April 30th this year. The most surprising thing is that about one crore aspiring candidates applied for the posts this year. All the applied candidates need to download their admit cards which are mandatory to be carried during the written test. RRB has a total of 21 branches that are spread across the country which has been placed in Ahmedabad, Ajmer, Allahabad, Bengaluru, Bhopal, Bhubaneshwar, Bilaspur, Chandigarh, Chennai, Gorakhpur, Guwahati, Jammu and Kashmir, Kolkata, Malda, Mumbai, Muzaffarpur, Patna, Ranchi, Secunderabad, Siliguri and Thiruvananthapuram. Railway Recruitment Board conducts examinations for the recruitment of candidates in various fields in Indian Railway. The notification for various posts under CEN 03/2015 has been released this year, and the candidates who applied for the posts can download their admit cards from the official website. The total number of vacancies under this notification have been 18252, and there is tremendous competition for these jobs as all these job roles will be under the Central government. All the aspirants will not be allowed without their admit cards. Examination Dates: March 28th, 2016 to April 30th, 2016. 1.Please visit the official website by clicking on the link below. 2.The homepage will be displayed and click on NTPC nontechnical admit cards 2016. 4.The admit cards will be displayed and click on download, print to get a hard copy of your card. 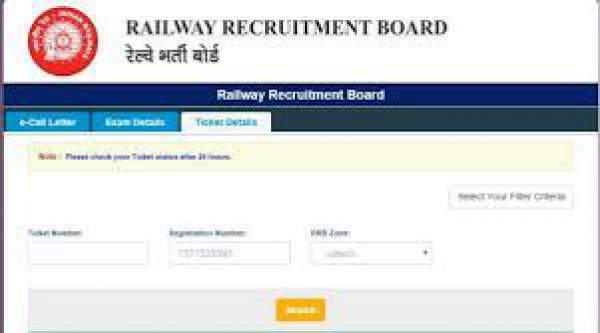 Railway Recruitment Board nontechnical popular category admit card link is now active, and the applicants can download their respective card any time before the examination that is conducted between March 28th and April 30th. Please note that the candidate will not be allowed into the examination hall without the hall ticket. Previous articleTashan-e-Ishq 15th March 2016 Episode: Is it a phase of Twinkle and Kunj relationship ?